One of the easiest ways to Visit Ketchikan is to take a walking tour on your own. 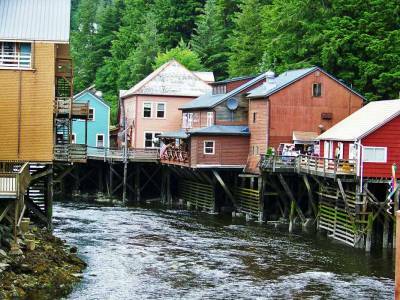 Check out our Ketchikan Walking Tour. Start on the free local bus shuttle that picks you up right at the cruise ship pier. 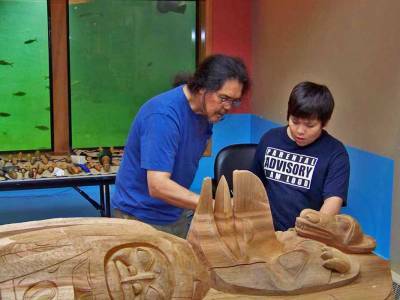 Ride it to the Totem Heritage Center and take an inexpensive tour of the exhibits and totems. Then start your walking tour by crossing the foot bridge over the Ketchikan River. The trail passes beside the Deer Mountain Hatchery which is not often open to the public. From the Deer Mountain Hatchery you can follow Ketchikan Creek down past the fish ladders to Creek Street. Next ride the funicular up to the Cape Fox Lodge. Check out their dug out canoe hanging from the ceiling of the lodge. Finish your walking tour passing the Tongass Historical Museum and the Great Alaskan Lumberjack Show on the harbor. Take the free local shuttle bus from the cruise terminal to get to the Totem Heritage Center. 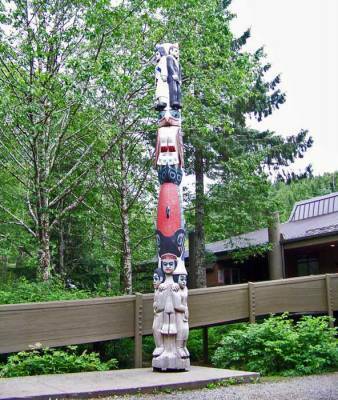 The Totem Heritage Center has preserved a number of original totem poles from southern Alaska. Pictures of the poles at their original location are shown too. 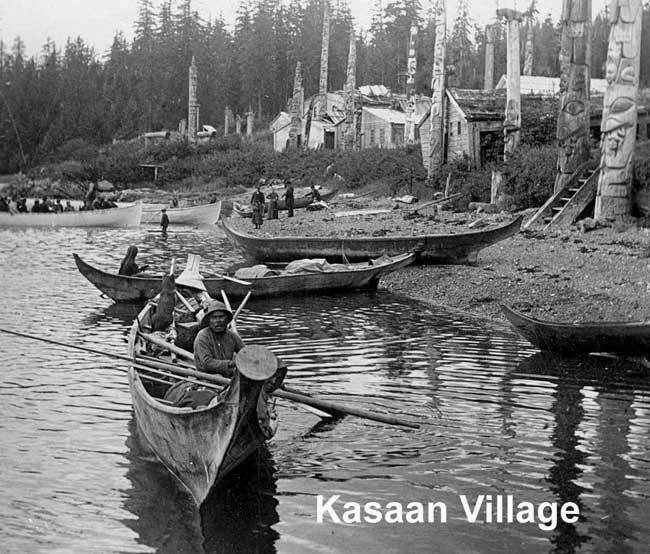 The center has an amazing number of poles from the village of Kasaan in the late 1800s. You can also see the trend in pictures, as native Americans absorbed European culture. They quickly switched from traditional weaving to buttons and Hudson Bay blankets. When you visit Ketchikan, take a local bus or organized tour to either of the nearby totem parks. Saxman Native Village has a clan house and more than 20 totem poles. Many of the Saxman Native Village poles were carved in the 1940s to preserve native Tlingit culture. You can get to Saxman Native Village from Ketchikan on the Silver Line South local bus. Only cruise ship passengers can get in to the clan house where the Tlingit regularly perform natives dances. Book a Saxman Native Village Tour with a cruise ship or take your chances on what you will be able to see if you take the local bus. Another great option is the Totem Bight State Historical Park. The Totem Park at Totem Bight has a clan house and 15 totems. The reduced numbers of tourists and absence of performances for tourists, give Totem Bight a much more intimate and authentic feel. No fee is charged to visit Totem Bight. You can get to Totem Bight on the Silver Line North local bus or as part of an organized tour. 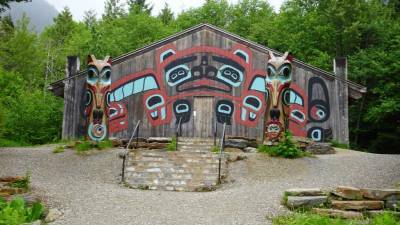 A short walk to the other side of Ketchikan Creek from the Totem Heritage Center brings you to the Deer Mountain Hatchery. 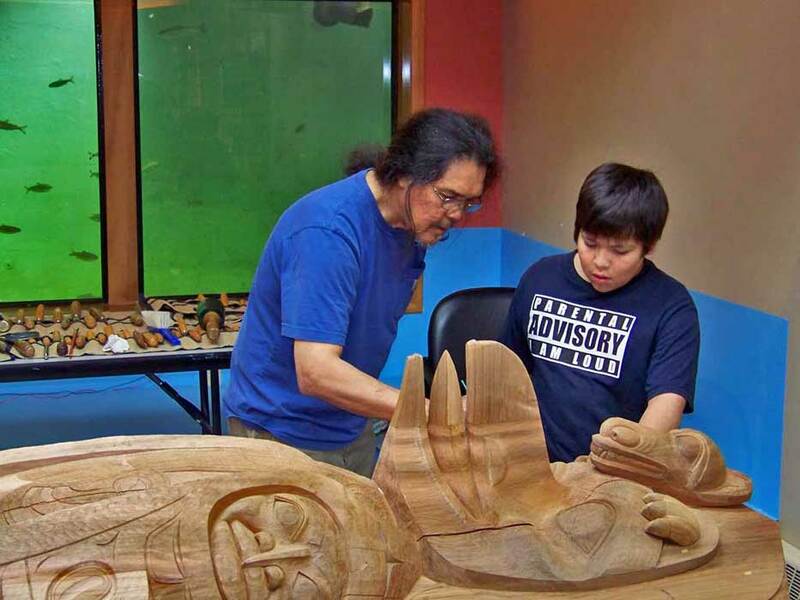 The hatchery uses revenues from tourism to preserve aboriginal traditions, but it is often difficult to determine when the hatchery is open to the public. Deer Mountain Hatchery raises thousands of young salmon to release into Ketchikan Creek. The Deer Mountain Hatchery also cares for injured bald eagles. 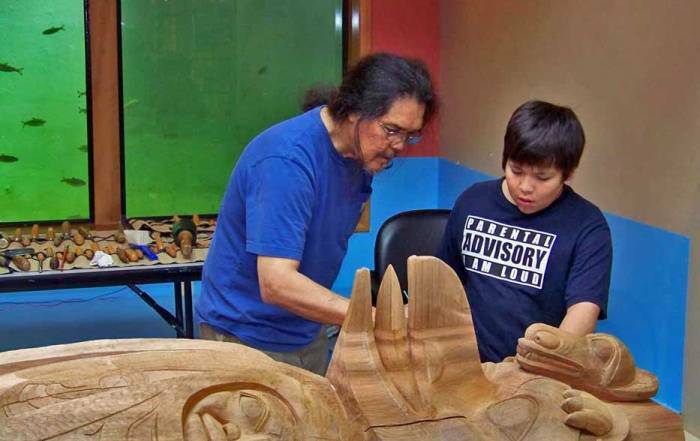 A small shop displays totem carving by carvers like Israel Shotridge. The Ketchikan weather is determined by the Pacific Ocean. July and August are the height of summer. Expect Ketchikan weather to have average summer highs of 64 F (18 C) and average lows of 52 F (11 C). June and July are the driest time of year. Rainfall is fairly constant throughout the fall and winter. October has the most rainfall, with a monthly average in excess of 22 inches (550 mm). From November to March, average highs are about 40 F (4 C) while lows are a few degrees below freezing. December is the snowiest month, with an average of over 1 foot (30 cm). 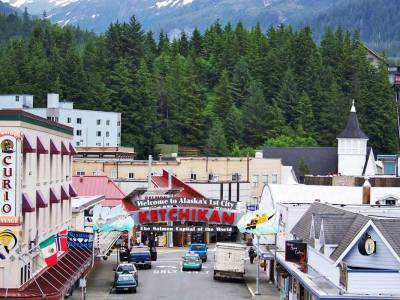 June is likely the best month to visit Ketchikan. 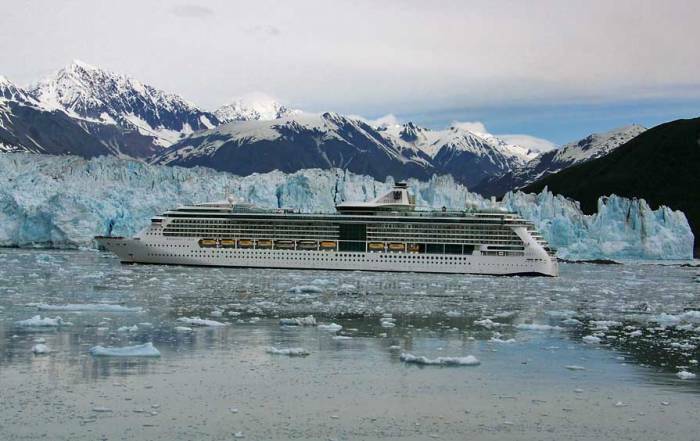 The main way that tourists get to Ketchikan is on a summer Alaska cruise. No roads connect Ketchikan to the rest of Alaska. Alaska Airlines flies in to Ketchikan International Airport, so you can get to Ketchikan on a direct flight from Seattle, Washington. You can also get to Ketchikan on a small plane flight from other small communities of the Southeastern Alaska Panhandle. Ketchikan is a port of call for the Alaska Marine Highway System (ferry system) that serves the Southeast Alaska Panhandle coastal community. 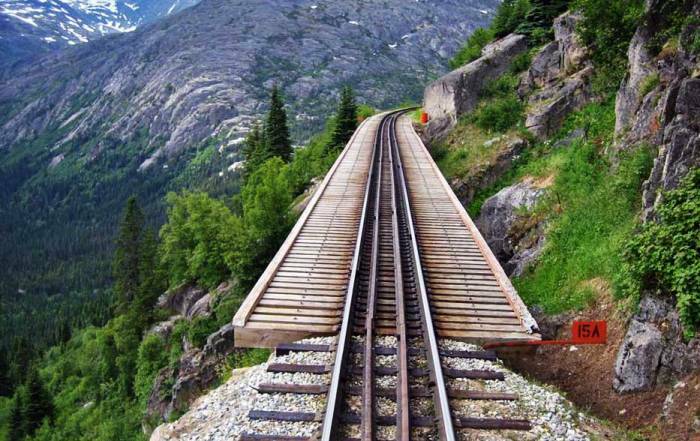 The marine highway also connects to Bellingham, Washington in the south and the Aleutian Islands & Alaska Peninsula on the western end of the Gulf of Alaska. One of the best ways to get around Ketchikan is by local bus. The city of Ketchikan offers a free shuttle bus loop of the city from the cruise port terminal. The free local bus is a great way to get to the Totem Heritage Center and the Deer Mountain Tribal Hatchery and Eagle Center. You can also use the transit system for an inexpensive trip to Totem Bight or to Saxman Native Village. The Silver North takes about 30 minutes to reach Totem Bight. Use the free local bus to connect to the Silver Line South to reach Saxman Native Village in about 10 minutes. Ketchikan buses are cash only and don’t give change, but they are only a few dollars. 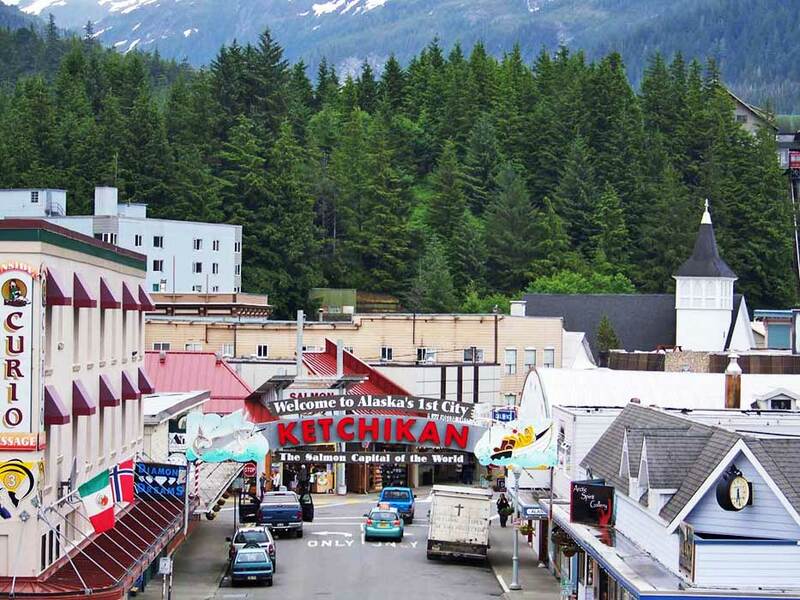 Check out the Ketchikan Gateway Borough for local bus fares and schedules. 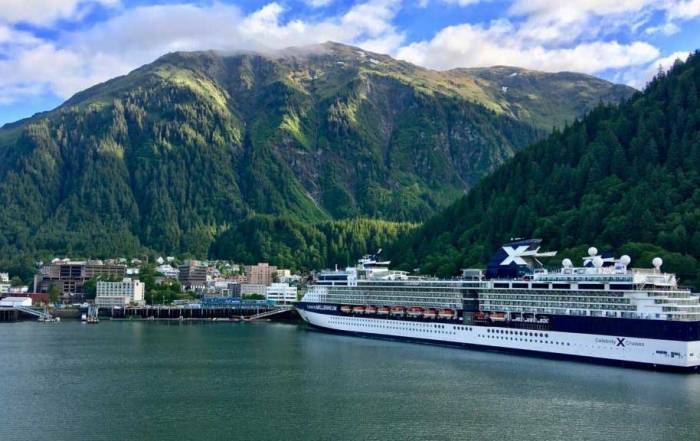 About 10,000 people live in the city of Ketchikan, but the population can more than double on days when Alaska cruise ships visit Ketchikan. Ketchikan is on an island in the Inside Passage of the Southeast Alaska Panhandle. 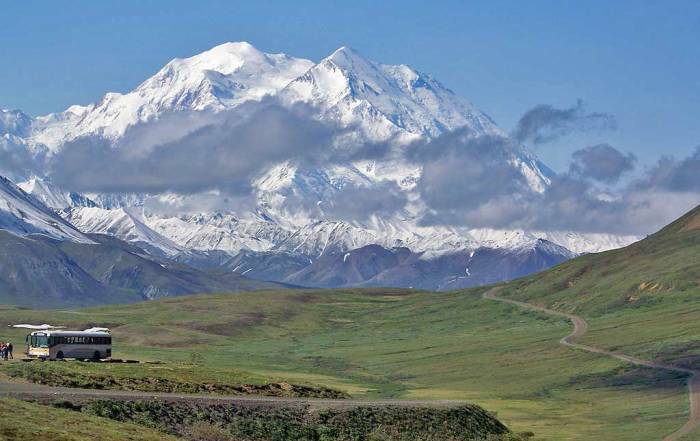 It’s the most southerly town in Alaska. The name Ketchikan is native Tlingit. 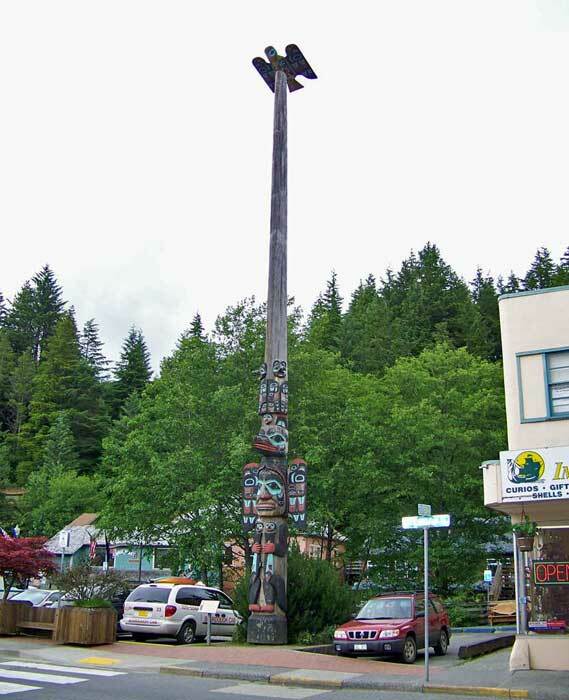 Ketchikan is famous for its totem poles, for its Gold Rush atmosphere and for being the first city in Alaska. The city also claims to be the Salmon Capital of the world.